Comfort, style and mobility at an outstanding price. Whether you are planning a short trip into the urban heart of Basel, our range is always aimed at active and independent travelers, who require a high level of functionality. Thanks to the ideal location, the surrounding infrastructure and facilities, you will save time and energy, so you can enjoy your stay in Switzerland to the full. APALIVING stands for a fitting temporary home. All of our hotel rooms you have a comfortable and functional furniture. During your visit to Basel you will not be without the necessary amenities for a business trip or a relaxing holiday. Cosmopolitan, functional, efficient; these keywords best describe our principles. APALIVING offers a combination of practical facilities, uncomplicated and efficient service and an ideal location in the hip quarter of Gundeldingen. We offer you a comfortable stay at a small price. Our APALIVING Budgethotel in Basel boasts over 180 generously and functionally equipped non-smoking rooms. The rooms are categorized as Standard and Comfort, and differ based on the quality of furnishings and the level of comfort. Find out more about the room categories and the available room services. In the immediate vicinity, there are several places to eat a hearty breakfast; you will find more information in the brochure in your room. The name doesn't always say it all. In our 20 sqm standard room, you will find all of the amenities you need for a unique, personal and hassle-free stay. 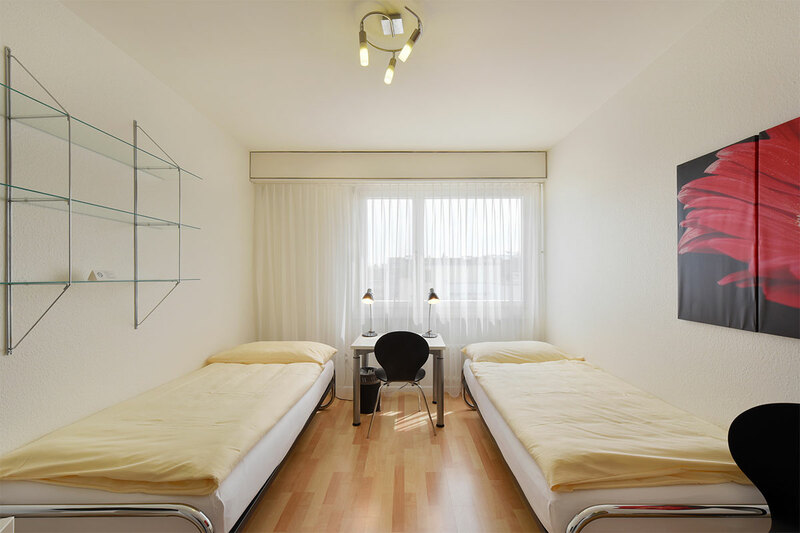 The bright and functionally equipped rooms can be booked as single rooms with a single bed (90x200cm) or as double rooms with two separate beds (90x200cm each). All rooms have a high-quality laminate floor and large windows that can be opened. If you prefer a higher standard of furnishing, we are happy to offer you a Comfort Room. Our Comfort Rooms have a queen size bed (140x200cm), a Nespresso machine with unlimited coffee capsules, a large work surface, large opening windows and a light laminate floor. The Comfort Room can be booked as a single room or as a double room. Are you planning a stay with your family? We will kindly offer you our Family Room which provides one queen-size bed and one twin bed. You will find in the Family Room all the amenities from our Comfort Rooms but those rooms are more spacious than the Comfort Rooms in order that there is enough space for the whole family. 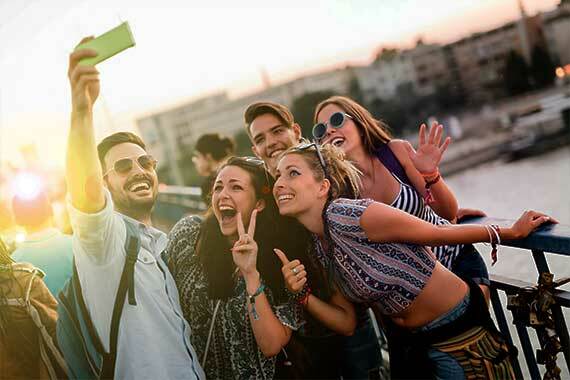 Our Budgethotel is situated in the direct vicinity of the railway station, boasts ideal transport connections and is located in the middle of a lively, yet quiet neighbourhood with great shopping opportunities and places to go out. If you are arriving by car, we will happily provide you with a parking space for just CHF 10 per night. Do you have a question about your upcoming stay or do you need information about the city of Basel and its opportunities? Our reception is there for you from Monday to Friday 7:00am until 9:00pm and on weekends from 9:00 am until 6:00pm. They are happy to hel you with any enquiry you have. If you arrive outside of the reception's open hours, you can check-in at any time with your personal keycode, which you will receive with your booking confirmation. If you have questions concerning your arrival, check-in or check-out formalities, please contact us in advance during the open hours. We guarantee that you always get the lowest price when you book directly on our homepage or by phone +41 61 333 05 30. +41 61 333 05 30. If you need to check out at a later time, you can contact us prior to your arrival and we will gladly assist you. Your room will be cleaned daily. Let us know if you wish not to be disturbed during your stay. In the basement of the hotel is a laundry room where you can wash and dry your clothes free of charge as guest of the hotel. If you arrive by car, we are happy to offer you a parking space for only CHF 10.00 / night in the nearby parking Gundeli-Park. Are you planning to spend a few days for leisure time or on business in Basel? If you book two nights in a Standard Single Room, we will give you a free upgrade to a Comfort Room with the promotional code «Spring19». Are you arriving by car? 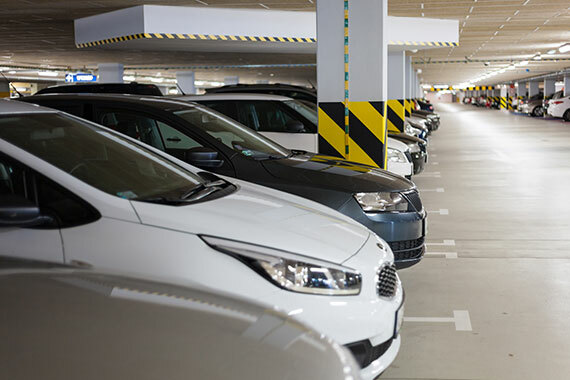 If you book a Comfort Room with the promotional code «PFF19» between 20.02.2019 and 31.04.2019, we offer you the parking ticket for our parking garage Gundeli-Park. Do you have a longer-term stay in the city on the knee of the Rhine coming up? Do you need an individual and personal temporary home? Long-term guests are always welcome, whether traveling on business or for leisure! Business guests and their requirements are very important to us, so if you have an important meeting or a spontaneous get-together with business partners, look no further for an ideal venue. 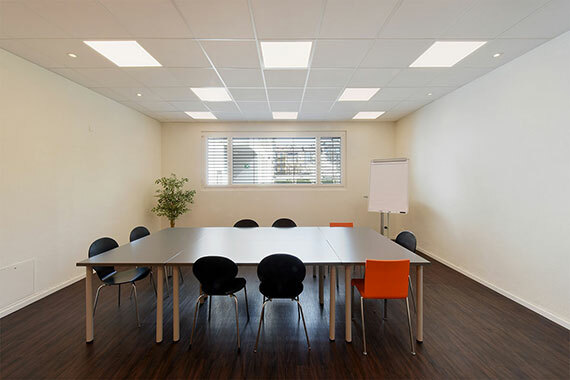 Our Budgethotel, has a large Meeting Room for up to 8 people with a digital infrastructure. 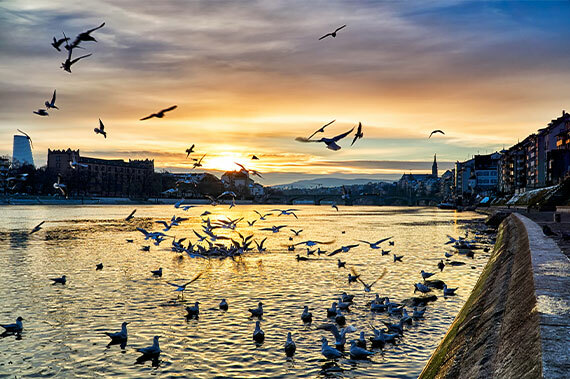 Basel, the city on the knee of the Rhine, is located on the border triangle of Switzerland, Germany and France and serves as a perfect transport hub for attractions and other cities like Zurich, Geneva, Zug and Lucerne, as the northern gateway to Switzerland. In the cultural capital of the Alpine nation, you sense an international flair, not only because of the proximity to other countries, but also because of the diverse cultural, sport and leisure opportunities. Basel always shows it best side, not only during the numerous and world famous trade fairs and exhibitions. Our Budgethotel is located in one of the most vibrant areas of the city, which particularly stands out for its culinary and shopping opportunities. Beyond the cultural field, Basel also impresses with its diversity of sport, exhibition and trade fairs. For example, highly-rated tennis tournaments alternate with the world's largest watch and jewellery fair (Baselworld), as well as other congresses and trade fairs. With every visit to the largest city in northwestern Switzerland, there are a variety of activities and places to explore, which should not be missed. 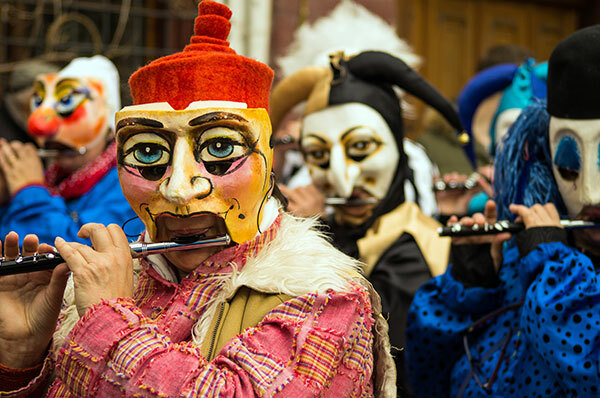 More information can be found on the homepage from Basel Tourism. Despite its modest size, the city of Basel captivates the whole year round with its diverse cultural and events landscape. Along with the traditional Fasnacht and world famous museums like the Fondation Beyeler and the Vitra Design Museum, Basel is home to one of the largest art exhibitions in the world: Art Basel. The nightlife of the city also has its finger on the pulse, offering various options from contemporary restaurants and bars to notable nightclubs for party people. Despite the APALIVING Budgethotel being situated in the center of a quiet residential area, you won't miss out on quick access to public transport. 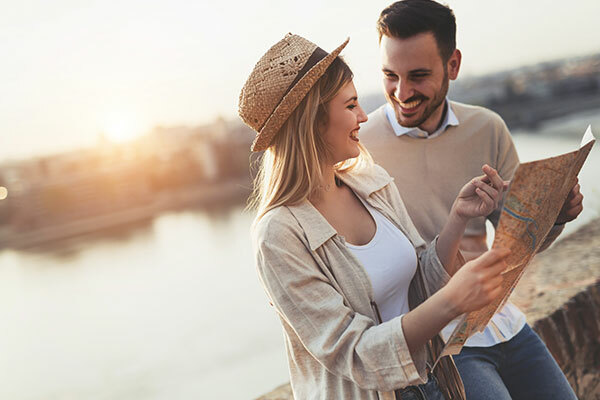 In the immediate vicinity, you can find direct transport connections to all areas of the city. Whatever your objective in the city, you can use the entire bus and tram network at any time of day throughout your stay with us, thanks to a complimentary Mobility Ticket. The price includes the room rental incl. furniture (seminar seating in block style), whiteboard, extension cable, adapter and free W-lan.